It’s technically Spring yaaaayyyyyy! But…. Over here in my neck of the woods Mother Nature hasn’t received the memo yet and it’s cold and still kind of snowing and just being sucky. So boo to that, I’m wearing a super Springy yellow shade from She Nail Polish Spring 2015 Collection named Banana Cra-Cra. Ha! What a cute name! 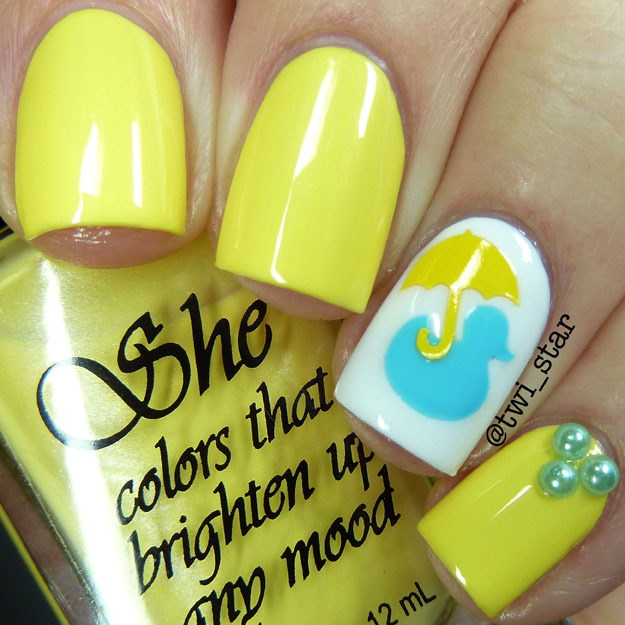 This bright shade is perfect for Spring, check it out. To read more click below! 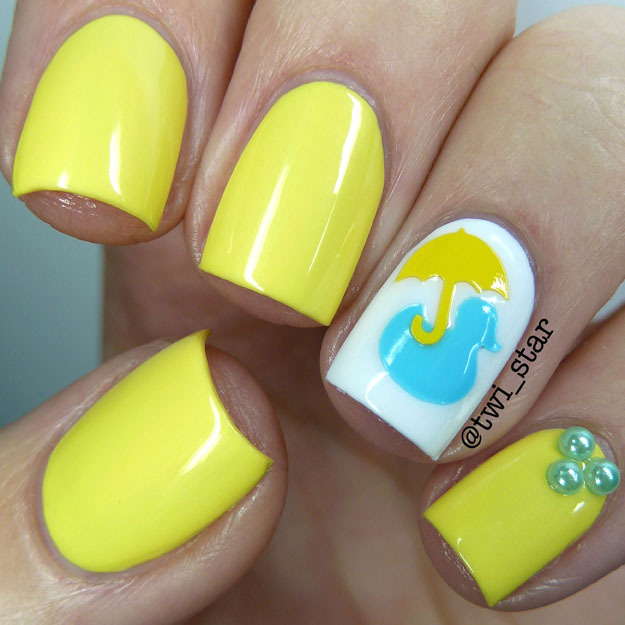 This bright cremey yellow is Banana Cra-Cra from She Nail Polish. It has a very very subtle silver shimmer that is much more apparent in the bottle than on the nail, but it does add just a touch of something to an otherwise crème. The yellow is bright but not jarring and has a softness to it. I will wear any color and I think this looks pretty good on me but this color would look absolutely gorgeous on those with a darker complexion! Almost every yellow polish has a somewhat problematic formula, and this one is ok. It’s not the best BUT it’s pretty good and a lot better than many haha I think it’s just something about yellow pigments that make it hard to create the perfect formula. I used 3 thin coats here to get it nice and even and it looks nice and smooth. Your comment will be published upon review, thanks! St Patrick's Day green and gold nail art!